Opera is an art form whereby musicians and singers perform dramatic work by bringing together a libretto and a musical core. This is normally done in a theatrical setting. Opera puts together scenery, acting, costumes as well as dances. This dramatic performance goes together with a small musical ensemble or an orchestra. This art began in Italy at the end of the 16th century. Later, it spread to the rest of Europe, and as such it became a branch of the western classical music tradition. The popularity of Opera has only soared with time. It is considered among the most complex forms of creativity and art. While opera might not be everyone’s cup of tea, there are plenty of famous Opera singers. Below is a list of the most famous ones. Plácido Domingo was born on January 21st 1941. He is a Spanish conductor and a tenor famous for his strong, versatile voice than any other tenor by the time. In modern tenors, Domingo has taken over the role of a Godfather among opera singers. When he decided to perform the title role of Otello by Verdi, he attracted a lot of criticism from his managers. His management thought that his voice was not suited for the role since it required someone with a powerful, high, and dramatic voice. However, the managers’ beliefs were wrong as the performance turned out to be fabulous. In fact, the opening speech “Esultate!” became one of the highlights of his career. The versatility of his voice makes him suitable for different roles - like in Verdi’s Rigolettoo, Wagnerian’s Die Walküre, Mahler’s song-cycles as well as operettas by Lehár. Since 1971, Domingo has received 7 Grammy awards, 3 Latin Grammy awards and the Latin Recording Academy Person of the Year Award. Over the years, he has received multiple honorary doctorates among many other awards like Spanish Prince of Asturias Award for Arts. The German conductor of classical music and lyric baritone, Dietrich Fischer-Dieskau was born on 28th May 1925 and died on 18th May 2012. He has been described as one of the best vocal artists of the 20th century. In the post-war period, he was among the most famous Lieders. He was ranked as the second greatest singer of the century. He is also a personal favorite of many fans of opera today. He preferred lighter roles like Mozartian operas, Lieds as well as Masses or other masterpieces. Nonetheless, his voice was fully capable of taking up heavier roles as seen in performances where he performed as Scarpia in Tosca, as well as Wolfram in Tannhaüser. From his performances, he got awards like Popular Music Prize and Gramophone Hall of Fame entrant among others. The Swedish tenor Nicolai Gedda was born on 11th July 1925. In his life time, he has two hundred recordings and his beautiful tone and voice control stand out in all his performances. His music intelligence and perception towards music contributed greatly to his success. In 1948, he auditioned for Walter Legge, a famous record producer of the time. Gedda was the unofficial "house tenor" of EMI, and he managed to record hundreds of discs among which some roles were not suited for his voice. He is well versed in various languages including Spanish, Italian, French, English, German, Russian, and Swedish. He could perform perfectly in all these languages. Gedda has received several awards and honors for his performances. Renée Fleming is an America opera singer who was born on 14th February 1959. She has a full soprano voice that works perfectly for Mozart, Richard Strauss, Handel, French opera, Liender, and bel canto opera. She can also do well in Indie rock, Jazz, and chansons. She has played several different roles like Desdemona in Othello, Countess in Capriccio and Violetta in La Traviata by Verdi. She has received several awards like the National Medal of Arts as well as the Richard Tucker Award among many others. Jonas Kaufmann is a German tenor who was born on 10th July 1969, and is also one of the most renowned opera singers. The combination of his good looks, charming stage presence, and a strong and versatile voice made Kaufmann perfect for the Italian Opera. He is best known for spinto roles like Don José in Carmen and Cavaradossi in Tosca. He has also performed in leading tenor roles like the operas of Richard Wagner. He has received several awards for his performances such as the Opera award for best Male Opera Singer in 2013, as well as the Gramophone Award for Wagner Arias, Donald Runnicles conducting. The Russian soprano Anna Netrebko was born on 18th September 1971 and holds dual Australian and Russian citizenship. The Russian operatic is not only beautiful but is also graced with a beautiful voice. She featured in many great performances like the Last Night of the Proms as well as playing major roles like Juliette in Roméo et Juliette. She has also been awarded several honors including the State Price of Russian Federation. Born on 12th October 1935 and died on 6th September 2007, Luciano Pavarotti managed to become the most successful tenors in history. The Italian operatic tenor eventually started singing popular music. His easy to recognize silver tone made him stand out from other tenors. He was a perfect candidate for light roles because of his vocal agility and ability to hit top notes with ease. His management made him a household name beyond his opera performances. The ‘Three Tenors’ concert that he held together with José Carreras and Plácido Domingo became a significant event in the history of classical music. In his lifetime, he received many Grammies including the Grammy Legend Award, platinum awards as well as gold disks for his performances as well as other awards and honors like the Kennedy Center Honors. He has also featured in the Guinness World Records twice. Luciano also participated in humanitarian work, raising funds for the UN alongside other famous musicians of the time. In July 2006 he was diagnosed with Cancer of the pancreas, which led to his sad demise in September 2007. Elisabeth Schwarzkopf was born in Germany on 9th December 1915 and died on 3rd august 2006. The British/Australian was both a recitalist and a soprano opera singer. Her admiration came from her performances of Strauss, Wolf, Schubert, and Mozart. She did her first performance when she was 13 years of age. The beauty of her voice made her appropriate for classical operas. She received many awards throughout her career like the UNESCO Mozart Medal, an honorary medal from Vienna city among many others. Dame Joan Sutherland was born on 7th November 1926 and died on 10th October 2010. She was an Australian dramatic coloratura soprano who was also responsible for Pavarotti’s fame. Her success is attributed to her soprano that made it quite easy for her to hit oddly high notes. If necessary, she could easily add lyricism to the coloratura arias. Complaints came up about her diction, and for this reason she went to study German as well as Italian to improve on her pronunciations. She received several awards and honors – for example, the Order of Merit bestowed on her by the Queen. The American dramatic soprano was born on 4th August 1960. She has specialized in Wagner and Strauss, and she recently featured in the Met’s Ring Cycle. She still performs in operas and concerts worldwide to date. She has made several recordings. 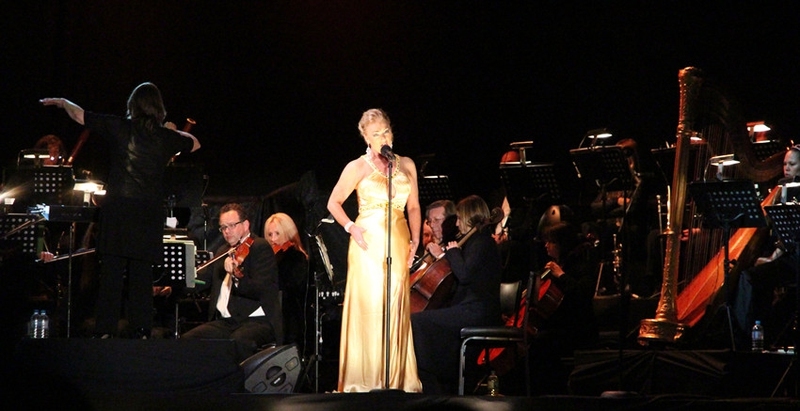 She is featured in the 2003 live recording from the Vienna State Opera production by Wagner’s Tristan and Isolde for Deutsche Grammophon. She has several awards to her name including the Richard Tucker Award.